The Gülaylar Jewelry Group, through Gülaylar and Diamond Line brands offers exclusive and quality collections to the world markets and exports to almost 55 countries around the world. Gülaylar, for many years now, has been in the first 200 companies (among 500) of Turkey with high exportation rates. Gülaylar’s clout in the world markets is founded to a great extent on the originality of its designs. In addition to modern, fashionable models in its collections, it also gives prominence to radical, distinct designs that customers will not have seen before. Gülaylar, by nurturing the rich cultural heritage of its home country, brings a new dimension to the world markets. For example, Anatolia is the first region where gold was used as an ornamental metal; this cultural advantage of our history is strategically and effectively used in our designs The R&D department, by synthesizing traditional Turkish and Anatolian motifs with innovative and modern ones, creates unique designs. Gülaylar contributes to the renown of both the Turkish nation and the Turkish ornament sector in the world. 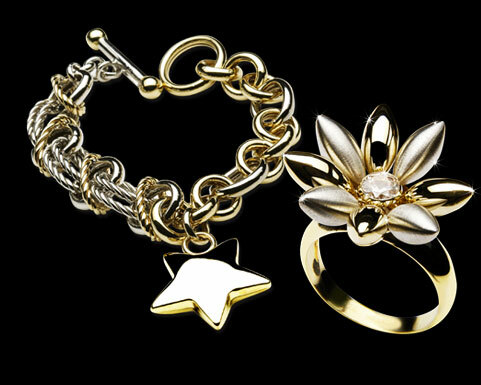 Gülaylar, with exclusive and quality gold and diamond products, is not only a well-known brand in Turkey but also in countries such as the United States, Germany, France, England, the Netherlands, Australia, Japan, Italy, Canada, Saudi Arabia and Dubai. As an exportation company the ideal at Gülaylar is to produce better, quality goods and thus provide services that create surplus value; this is what makes us different from other companies. We offer to our worldwide corporational customers the opportunities to do more productive and profitable business by adding surplus value to those transactions through our brand new collections and models. - We believe that you and your customers are our own priorities. - We carry out your demands, and fulfill your expectations. - We produce with the best quality and price. - We work in accordance with your ideals and strive to meet your special wishes. - We help our customers expand their collections and follow the latest trends with our periodical catalogues..
- We believe in unlimited and unconditional customer satisfaction. As in other sectors, international fairs are standard and significant events in the jewelry sector where customers and brands can converge and mingle with each other. The Gülaylar Jewelry Group, by participating in national and international fairs, provides the opportunity for jewelry lovers to do business directly with us. The Gülaylar Jewelry Group, in many exhibitions held in various cities of the world, represents Turkey with the Gülaylar and Diamond Line brands. These international exhibitions, which many elite jewelry brands attend, are crucially important for our Group as we can ensure that Gülaylar is a center of attention and thereby gauge our degree of publicity. In all the international fairs that the Group has attended so far, Gülaylar and Diamond Line stands have elicited great interest and many of the visitors have wanted to receive more detailed information about the corporation, its latest designs, collections and exported goods. Gülaylar and Diamond Line collections are introduced by our expert sale representatives and in every fair almost 10,000 models are on display for our customers. Sale representatives give detailed information about the Gülaylar and Diamond Line production techniques, collections, sale network and services to those who are interested. Gülaylar reveals its corporational experience and strength by converting the interest shown during the fairs into large scale productive business connections.